Theft: A man reported a 55-inch TV missing from his residence in the 100 block of East Main Street. Possible burglary: A Mohican Drive woman told police she noticed a neighbor’s garage door open and possibly two people inside. Nevertheless, no suspects were found and nothing appeared to be missing, a report said. Arrest: Officers near U.S. Route 422 picked up Brian K. Mason, 31, of Sheridan Avenue, Warren. He was wanted on a warrant from that city charging domestic violence. Drugs: A traffic stop on North State Street resulted in the arrest of Jason A. Kolenich of Morris Avenue, Girard, on charges of drug abuse and possessing drug paraphernalia, when, police alleged, he admitted having a bag of suspected marijuana, as well as a suspected marijuana pipe. Kolenich, 38, also was cited on a charge of driving under suspension. Theft: The rear license plate was removed from a car in the 400 block of North Highland Avenue. Harassment: A Juanita Avenue woman said a man has made and sent unwanted calls and text messages, including a flurry of such correspondence in a three-minute period. Theft by deception: A Powers Avenue woman told authorities she had paid $5,000 for a new roof only to discover the work was never finished by the agreed-upon 180-day period. Theft: A woman returned to her North Avenue apartment to discover it had been ransacked. Stolen were three hearing aids, about $200, prescription medication and various food items. Theft: A 24-inch girl’s bicycle was missing from a porch in the 100 block of East Howard Street. Theft: A North Avenue woman told officers she gave $68 to a neighbor via a third party before the recipient later reported never having received the money. Drugs: A traffic stop near Route 422 and Interstate 80 led to a minor-misdemeanor citation charging Douglas P. Hall, 50, of Pleasant Valley Road, Niles, with having a container with six small bags of various amounts of suspected marijuana. Also found was a suspected marijuana pipe, police alleged. Drugs: Taylor K. Fortson, 22, faced a drug-abuse charge after having been pulled over on Route 422. Fortson, of Meadowbrook Avenue, Warren, had a cigar wrapper that contained suspected marijuana, a report showed. Animal complaint: Officers issued a summons charging Reyanna D. Simpson, 30, of Fairlawn Avenue, Youngstown, with failure to restrain a vicious dog after two neighbors reported Simpson’s pit bull had attacked and killed their dog. The Trumbull County dog warden was notified of the incident, a police report showed. Arrest: Authorities were sent to the Mahoning County jail to pick up Kevin J. Mangham, 19, of Kensington Avenue, Youngstown, who was wanted on a warrant charging failure to appear in court. Theft: A man discovered 30 over-the-counter pills missing when he returned to his Goist Lane residence. Drugs: After pulling over a vehicle in the 3000 block of Belmont Avenue, police wrote a minor-misdemeanor citation charging Zariyah I. Diggs, 21, of Swallow Street Southwest, Warren, with having a small quantity of suspected marijuana in her purse. In addition, Christopher Young, 29, of Laura Street, Youngstown, faced a charge of driving without an operator’s license. Theft: Authorities charged Linda J. Kelly, 51, of Jo Ann Lane, Liberty, with theft after a Hubbard woman discovered her wallet was missing after having accidentally left it at Giant Eagle, 4700 Belmont Ave. Surveillance footage showed someone in a check-out lane placing the wallet in her purse soon after the victim had left, a police report stated. Arrest: Deveon F. Baker, 29, of Southern Boulevard Northwest, Warren, was taken into custody during a traffic stop near Gypsy Lane. Baker was wanted on a charge of being a fugitive from justice. Drugs: Police on Belmont Avenue pulled over then charged Kayan A. Muhammad, 20, no address listed, with drug abuse and illegal conveyance of a prohibited item in a detention facility, a fifth-degree felony. 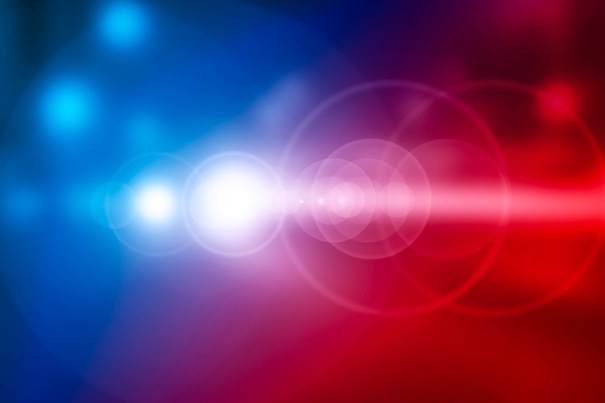 While in the Trumbull County jail, a bag containing a powder that tested positive for methamphetamine was found in his sock, authorities alleged. Theft: A man reportedly took 148 lighters and three small boxes of laundry detergent from Dollar General, 5814 Belmont Ave. Arrest: Gregory McCrary II of South Davis Street, was arrested during a traffic stop in the 1500 block of Trumbull Avenue after officers discovered McCrary, 40, was wanted on a warrant accusing him of failing to appear in Niles Municipal Court. Assault: A Fifth Avenue man alleged a Beechwood woman, 57, struck his face and pushed the accuser in the back after she had returned a 7-year-old girl to the home of the victim, who is the child’s legal guardian. Arrest: A traffic stop near Gypsy Lane led to Jesse L. Harris’ arrest on a charge of operating a vehicle impaired. Harris, 61, of Oxford Avenue, Youngstown, refused to submit to a urine test, a report showed. Arrest: Police arrested David M. Leach, 48, as he rode a bicycle near his Church Hill Road residence. The Girard man was wanted on a Howland Township warrant charging theft. Damage: A housekeeper with a Belmont Avenue motel reported having entered a room to discover a broken TV, a table covered with glue, stains on a ceiling and walls that evidently had been sprayed with soda or a similar material and other damage that came to about $1,470. Criminal damaging: An employee with a business in the 6400 block of Belmont Avenue told police she saw what appeared to be a bullet hole in her car’s passenger side. Identity fraud: A Youngstown woman alleged her former boyfriend and his sister canceled her Supplemental Security Income benefits card without authorization, then apparently applied for a new one with a change of address to a Townsend Avenue home. Drugs/weapon: A traffic stop in the 100 block of Euclid Avenue resulted in one felony count each of carrying a concealed weapon, being a convicted felon with a firearm, cocaine possession and conveyance of a prohibited item into a detention facility against Lavontae E. Knight, 23, of Market Street, Youngstown. A loaded .40-caliber handgun and a large bag with a substance consistent with cocaine were found; later, during the booking process, a bag of suspected cocaine was found in Knight’s pant leg, police alleged. Aggravated menacing/vandalism: A woman and her boyfriend alleged that while staying at a Belmont Avenue motel, her former boyfriend, 42, of Youngstown, smashed windows to their room and twice threatened to kill the couple, then intentionally struck her vehicle with another car. Damage to the room’s three windows as well as woman’s car was calculated at $6,500. Arrest: After being called to a possible domestic-violence situation on School Street, officers took Jennifer M. Goldberg of School Street, Hubbard, into custody upon learning that Goldberg, 34, was wanted on probation-violation charges. Theft: Amanda L. Miller, 29, of Market Street, Farrell, Pa., faced theft and criminal-trespassing charges after 17 strip steaks valued at $136 were stolen from Save-a-Lot, 880 W. Liberty St. Also, Miller was in the store in violation of an October 2016 trespassing warning, a report stated. Menacing: A Hubbard man reported having returned to his car in the 100 block of West Liberty Street to find a note under a windshield wiper in which the author accused him of being a drug dealer. The correspondence also contained implied threats, a report said. Burglary: To an apartment in the 500 block of West Liberty Street, where the occupant returned to find the main door standing open. Police found no signs of forced entry, though several firearms and other property were missing, for an estimated $5,580 loss. Theft: Mary M. Bralich of Broadway Street, Masury, was charged in the theft of children’s clothing, an indoor antenna, a can of cat food and a quart of motor oil from Dollar General, 886 W. Liberty St. Bralich, 50, also was charged with possessing criminal tools because she used a purse to store the stolen goods, police alleged. April 15, 2017 3:52 p.m.